Plenty of worthy contenders, including a returning Tiger Woods, are aiming for glory at Golf's PGA Championship. The 93rd edition of the major has now got underway as RT runs the rule over the favorites on the Georgian greens. 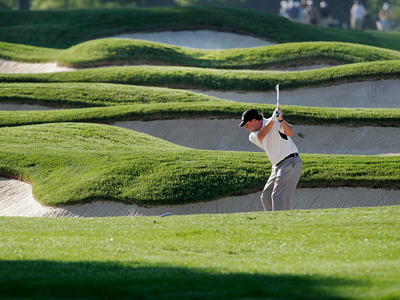 The PGA Championship is nearing a century of golfing excellence with its 93rd staging. But only one of over 150 players will get to lift that final major trophy of the year. Luke Donald knows that a World Number One ranking is not enough to silence the critics. The Englishman is well aware of the fact that nothing short of a first-ever major would bring him in line with the other greats of his era. A predicament he shares with compatriot and World Number Two Lee Westwood. "You know, majors are in this day and age made out to be the biggest deal. People put a lot of pressure on the guys who haven't won, like myself and Lee and Adam, and whoever else it might be, there's pressure to win them. Sometimes you can go to these events and just try too hard," he says. Adam Scott is the man of the moment, coming off a win at the WGC Bridgestone invitational with a new star sidekick on his bag. Caddie Steve Williams, recently fired by Tiger Woods, has been talking shots at his former employee after Scott's four-shot win at Firestone last weekend. The Australian himself knows well the bite that Tiger and others in the field possess. "You know, I think the competition is strong at the moment. Luke Donald's played amazing [sic], Lee Westwood is playing amazing, and now we have Tiger healthy again, so this is going to be interesting for everyone to watch, because we are all so interested in what he does and how he plays; has such a big factor on the game," Scott notes. Northern Ireland has been able to boast an increasing number of major championship winners recently. 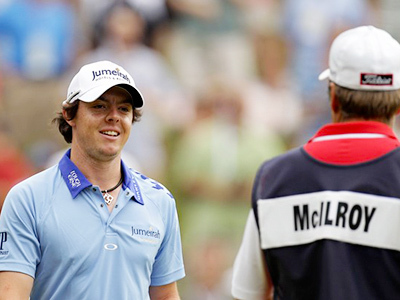 Rory McIlroy is overall favorite in Atlanta after winning the 2011 US Open. Graeme McDowell is also participating, having won the same major the year before. "The golf course is different; the shots are different; what's required is totally different. So you know, I've just got to go to the range and work on my ball striking and hopefully get that back to a level where I can control my ball flight," says Clarke. Inconsistent has been defending champion Martin Kaymer's middle name of late, after winning four tournaments in 2010. The German took last year's title when the event was held at the Whistling Straits course. And the World Number Three knows that holding on to the crown will be a challenge at the Atlanta Athletic Club. “We're playing a different golf course. If we were playing the same golf course, then I would see myself, I would expect myself to do well again. This week, obviously it's a new golf course. I haven't played any tournament yet and I think it really doesn't matter if you are defending champion or not,” he insists. There is plenty at stake for each of the leading lights then at the final major of the year, including Tiger Woods, who cannot be ruled out as he seeks a fifth PGA Championship.